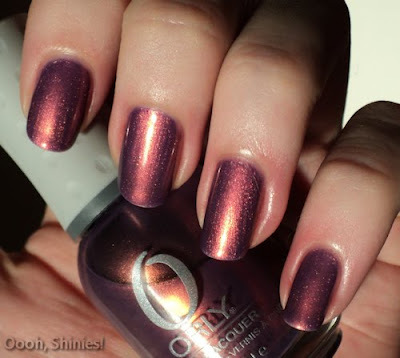 Today I'm wearing Orly Fantasea, a purple with pink/mauve-ish duochrome. 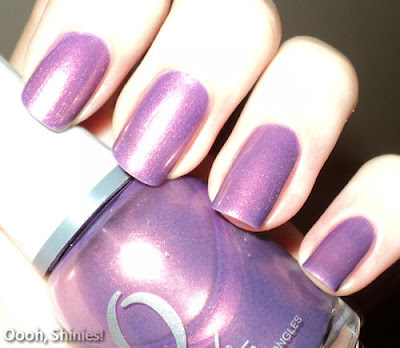 I find it a very nice color, but it doesn't wow me as much as I thought it would when I bought it. 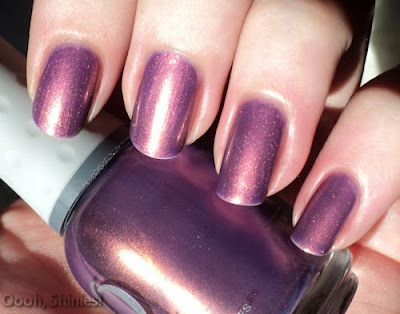 It also reminds me a bit of OPI Merryberry Mauve, especially in certain lighting. In brighter light the purple pops out more, and I like it better that way. It's a very sheer polish, I used 4 coats, and the drying time wasn't so great. And then Seche Vite gave shrinkage as well, so I don't think it'll last long. Next time I'll probably layer it over a purple polish, to make the application go faster and to always have the purple more visible.